One shoe box with a broken lid. One lousy shoe box held together by a knotted length of graying elastic. Byron saw the end of the thing beneath a pile of shirts he never wore. He’d probably have thrown them out years ago–only somewhere inside him where he tried never to look, hovered a warning not to go near that pile. Ignoring the deluge of falling clothes, he pulled the box from a shelf in the walk-in closet, carried it to the bedroom, and dropped it on the bed. It slipped to the floor. The elastic snapped. The life of Byron and Lori Frazer spilled out. Two years of loving scattered on a green and rust Chinese silk rug Lori never saw. Loving, and hoping, and praying, and daring to laugh–and losing. Thirteen years ago they’d lost the battle for a future together, and it hurt all over again, dammit, it hurt almost as much this morning as it had hurt then. He went to twenty-foot-high windows overlooking a sheer drop to San Francisco Bay. Here, high up on the west side of Tiburon, he’d managed to find a kind of peace, a kind of insulation from the demands of his life that he’d rather leave either in his consulting rooms in the city, or at the TV station where he spent hours of every day. Jim Wade, the private investigator who’d worked for him for years, had obviously followed Byron’s offhand invitation to finish his coffee–even though Byron had excused himself from their meeting to come up here. While Byron watched, Wade slowly emerged from the two story house and sauntered to his inconspicuous brown Honda. An inconspicuous car for an inconspicuous man who made his living watching, while not being watched. And he was good at it. Jim Wade was the perfect, unremarkable face in any crowd. He glanced toward a cloudless blue sky, and the water that shimmered beneath an early March sun. Blue, on blue, on blue. Shaded bowls of blue, their rims dissolving into each other. Bougainvillaea in colors of ripe oranges, red, and a luminous purple, billowed over white stucco walls edging the steep cliffs. The twisted limbs of stunted pines backed the wall and made jigsaw pieces of the horizon. Wade threw a battered black briefcase and the jacket of his brown and beige striped seersucker suit into the Honda, climbed in, and drove away from the parking area at the back of the house. Wade was gone, and Byron was left with no one but himself to make the decisions he’d hoped would never have to be made. Not that the fault for what had happened could be set at anyone’s feet but his own. And he could choose to walk away from responsibility. After all, he’d turned his back on responsibility once before and been able to convince himself that what he’d done was for the best–for all concerned. And it might have been, mightn’t it? He hadn’t wanted to be free, not free of Lori, the sweetest, most honest creature ever to be part of his life. He had owed her so much, but he’d failed her. And when he’d failed her, he’d failed himself. He had turned her concern for him into an excuse to do what he’d wanted to do–to avoid anything that might tie him down. Hell, he didn’t know anymore. He hadn’t known then, but after all he’d been doing what Lori told him to do–choosing freedom at a time when to do anything else would make his way not just hard, but near impossible. Byron Frazer had betrayed his wife. The box should have stayed where it was. A picture taken in Golden Gate Park. Lori clowning by a tree trunk. An insubstantial girl, with long, fine blond hair blowing away from her face, a bright grin, and gray eyes screwed up against the sun. He’d been playing his guitar and she’d leaped up to dance. She’d twirled and laughed, twirled and laughed, and he abandoned the guitar for their old point-and-shoot camera. Her slender body and well-shaped legs showed in shadow through a thin, flower-strewn, gauze dress. He listened to her inevitable exceedingly high heels clip on the terra-cotta tiles that covered the ground floor. She would be checking each room for him. Celeste, his agent, and the woman who thought she owned him. Tucking the photo of Lori into his shirt pocket, he made a rapid pile of everything else, and crammed it into the box. Then he pushed the box under the bed. Celeste was already climbing the stairs. Some might be beguiled by her playfulness. Byron knew her too well. The bedroom door stood open to a wide balcony that ran around the second floor. This room, decorated for him by the strangers he’d hired to make the house peaceful–his only instruction to them–echoed the cool greens and creams, and soft white used in the foyer that soared to open beams above the upper floor. Tall, slender, elegant in putty colored silk, her blond hair curving smoothly to chin-level, Celeste appeared on the threshold. She looked at him, and frowned. “Byron? Honey, what gives? There’s a studio full of people twiddling their thumbs and waiting for you over there.” She looked at the phone by the bed, took obvious note of the unplugged chord. He could lie, say he was sick, had unplugged the phone to get some rest, then overslept. Only this wasn’t a time for lies. He shifted his foot slightly and the toe of his right sneaker made contact with the shoe box. No more lying, especially not to himself. He didn’t have to deal with what Jim Wade had told him. For thirteen years he’d avoided doing anything–why start now? He crossed his arms and felt the photo in his pocket. The coldness, the old coldness he’d learned to ignore, it spread beneath his skin. His scalp tightened and he felt himself growing distant. Celeste’s mouth moved. He watched, even shook his head a little and turned away as if dismissing her, but he couldn’t hear her clearly anymore. He drew a deep, deep breath and closed his eyes, willing himself to be calm, to stop himself from moving away, moving inside himself. It was Byron the quitter who ran away. He wasn’t that man anymore. He wouldn’t run again. Would he? “We’re well ahead of schedule on the tapings,” he said. “You go,” he said. “I’ve got some things to attend to. Be a love and go buy me time, hm?” He managed a smile. The instant softening in her perfect features brought him no pleasure. So he had a face and smile that had women eating out of his hands. Big deal. They wouldn’t want to come within miles if they knew what he really was. No woman worth knowing would want to. “He stopped and said goodbye to Rachel, and she said, “Good bye, Mr. Wade.” Then Rachel rolled her eyes at me and said, “Detectives wanting coffee almost before my eyes are open.” Celeste crossed one long leg over the other and didn’t attempt to stop her skirts from slipping up her thighs. She raised her silver blond brows, got up, and bent over the writing table. Damn, he’d forgotten about the papers Wade had brought and left spread out. “No one you know.” No one he knew–he’d made sure of that. “This is what I want to do,” he told her. But afterward he’d lost his nerve. She never backed off, never gave up. “My son,” he told her, meeting her eyes while, inside, he began to move away again. The faint, familiar buzzing began at the center of his mind. The palms of his hands sweated–cold sweat. Celeste dropped her hands. “Son? What son? You don’t have–you can’t have a son, for God’s sake. What are you saying to me?” Her voice rose to a thin shriek. “I have a son,” he said, and this time the sound of it felt more real. “I’ve told you I won’t talk about Lori. I’ve got a son who needs me.” A son who might or might not need him, but Byron intended to find out for sure. “You can hardly see him in that picture. He’s too far away.” Wade had been warned never to intrude on Ian, to make certain the boy was never frightened. Blurting out his intentions about that hadn’t been smart. “Just to check out that everything’s okay. His situation’s changed.” Changed? Every shred of security had been pulled away from him and he’d been shuttled off to some relative he’d never met. “I don’t have to go into all that with you, but it’s the way it had to be.” Because, when the chips were down and he’d officially turned his back on the boy, he’d been unable to put him out of his mind. Making certain Ian was safe and well-cared for had felt right–essential. She had to leave. She had to stop asking questions he didn’t want to hear, much less think about. Her eyes flickered away, then back again. Something had changed in the way she looked at him. Wary? Questioning? He could almost hear her wondering what else she didn’t know about him, just how much he’d hidden behind a false face he’d perfected for the world. The heels of her cream leather pumps were of a gold metallic material. When she moved from the rug to the rosy-hued madrona floor, the heel tips made muffled thuds. He wanted to take a closer look at the photos of Ian. Through the years he’d avoided having Wade take any shots. Without a visual image it was easier to remain detached. Ian hadn’t needed him before–not really. He’d made sure he was well provided for, and safe. And from Wade’s regular observations and reports, the boy was happy enough. Celeste opened a cabinet fronted with etched glass, selected a decanter and brandy bubble, and poured a healthy measure of Hennessey. She drank too much but she didn’t want Byron’s opinion or advice on that topic. She wandered back, a calculated, hip-swinging wander, and arranged herself in his favorite dark green leather wingback chair. She used one heel to pull the ottoman close, and stacked her feet. Celeste’s legs were her most remarkable feature, not that the rest of her wasn’t remarkable. “Simpler for whom? No, that won’t be possible.” The truth was that he only had Wade’s word for it that Ian was happy, and now, with this move, there was no assurance that life wasn’t very difficult for a thirteen-year-old uprooted from home and school during early adolescence. Celeste swirled her brandy, sniffed, tipped up the glass until she could poke the very tip of her tongue into the liquor. She kept her eyes downcast, but the affectation was deliberately sexual. He regretted the brief, intimate interlude they’d shared. The cost had been too high, but it was over and would stay that way, no matter how hard Celeste tried to find her way back into his bed. “No, Goddammit!” So much for being the expert on controlling temper. “No, Celeste. A man has to do some things alone. But I promise you I’ll keep you in the picture–as much in the picture as you need to be to do a good job for our interests here. And I appreciate your concern.” He went to the open door and stood there, pointedly waiting. Uncurling her legs, Celeste got up slowly. She walked toward him until she was close enough for him to see tiny beads of moisture on her brow. The lady was thoroughly unnerved. She started to say something, but he turned his back on her and went to sit at the writing table. He touched nothing until he heard her footsteps on the stairs. She moved quickly and soon the front door slammed hard enough to rattle windowpanes. Defeat wasn’t a word Celeste liked to include in her vocabulary. Byron picked up the photo and looked closely at Ian. For the first time he allowed himself to wish he could see the boy more clearly. 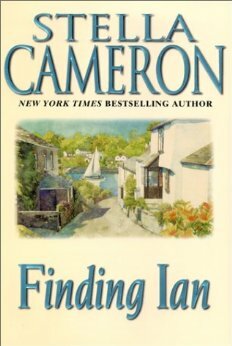 Ian was bent over with his face turned aside to accept licks on his neck from the big, black lab he embraced with both arms. A thick head of blond hair and a grin. A tan from what Byron could make out. He pulled out Lori’s photo and set it on the table beside Ian’s. And he brought a fist down so hard the impact made him flinch. They should all have been playing together with the dog, laughing together. And Byron and Lori Frazer should be holding each other while they watched their boy romp, secure in his parents’ love–their love for him, and for each other. He closed his eyes and rested his forehead on his hands. He didn’t want to think, not about that hospital. He didn’t want to hear it’s sounds and smell it’s smells–or see what he had seen there. He tried to evade the doctor. “I’m not your son. I’m nobody’s son, never was.” He took several steps along the hospital corridor but, his legs were too heavy. Rubber wheels squeaked on the green and white tiles. The doctor caught Byron’s elbow and steered him closer to one wall. An orderly in blue scrubs pushed a gurney past–to the closed door of the room Byron and Harrison had just left. Before Byron’s stinging eyes, the corridor’s beige walls rippled sluggishly as if they were under water. He looked at Harrison, and the man with the gurney. They were all under water here, and sinking deeper. “God’s not finished with me yet,” he muttered. Harrison came closer, jutting his chin and frowning, his eyes vast and popping behind thick-lensed glasses. “You need some air,” he said. “Stop telling me something can make me feel better.” Byron sidestepped to the opposite wall. He held out a hand to ward the man off. “She was twenty years old.” He reached behind him to feel the cool wall. The banging open of the door jarred his teeth together. He saw the orderly backing from the room. This time the white drape covered Lori on the gurney. Webbing straps had been buckled over her body. Beneath his face, Byron’s crossed hands were wet. Tears? How long had it been since he’d cried? Not since that afternoon in a San Francisco hospital watching his young wife’s body wheeled away? Or had he last cried some weeks later, in the dark, in the bed they’d shared? Yes, that had been it. And he’d turned his face to the wall and prayed he would one day believe what he’d told himself in a lawyer’s office, that he’d been selfless in relinquishing his tiny baby boy to a couple who would never have children of their own. Now that grateful husband and wife were dead and once more the boy was moving on, moving on to more strangers. But this time Byron would do what he’d promised Lori, he’d try to do whatever was right. Perhaps then he could stop hating himself.